The hours are indicated by a nine-segment digital display that's entirely mechanical. 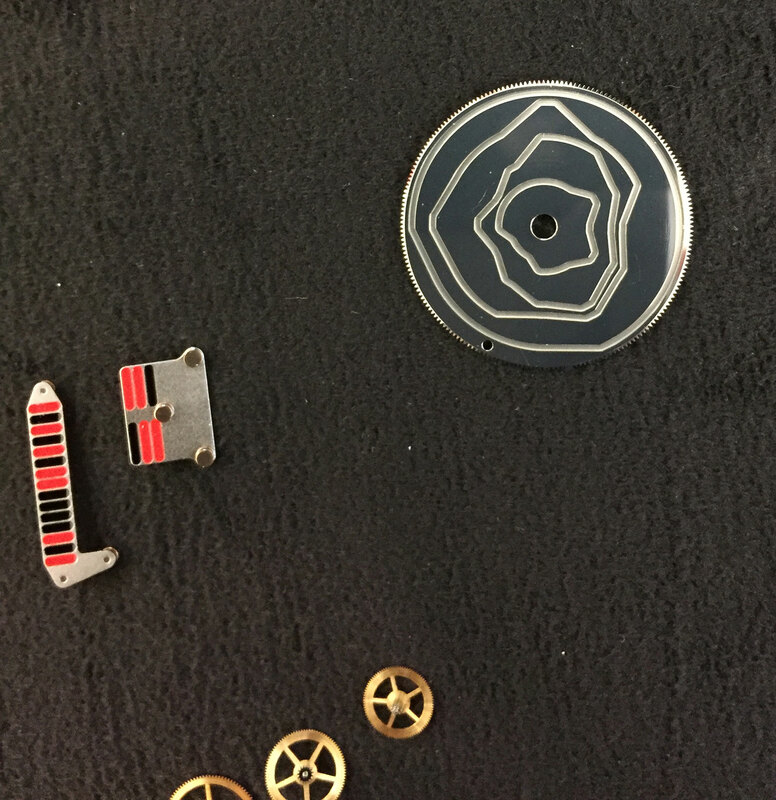 A circular porthole in the centre of the dial of the Dōdekal One D110 shows an oversized hour numeral, shown with a nine-segment display, inspired by the digital displays found in 1970s electronics or even 1990s pagers. To be unveiled in a few days at Baselworld 2017, the Dōdekal One the latest from MCT, which last year saw its watchmaker-founder Denis Giguet return to the helm. Driven by cams and gears, the segments of the display travel on an irregular track to show the hours. Each changeover of the numeral at the top of each hour takes 2.5 seconds. 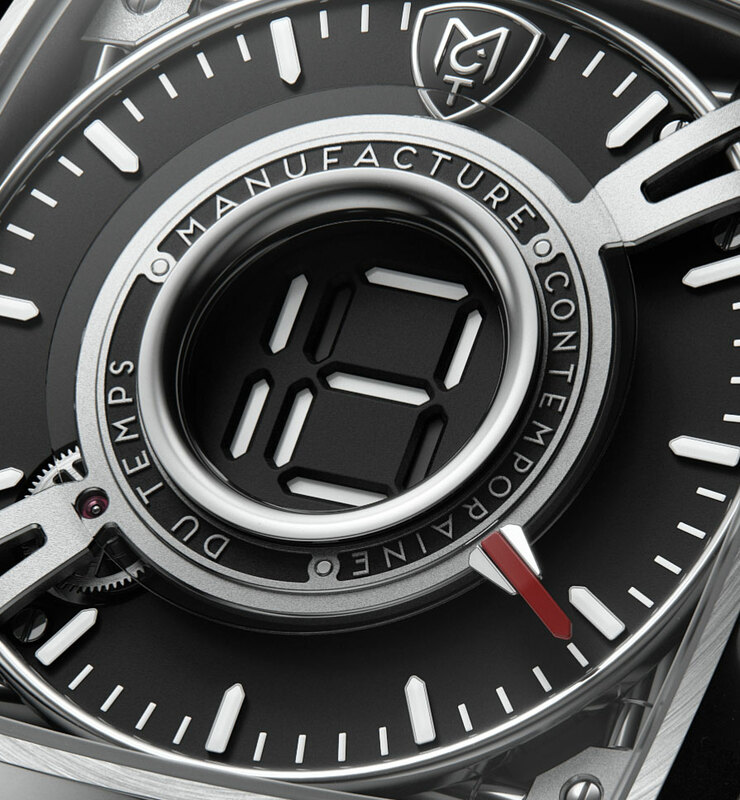 Minutes are indicated conventionally, with a red-tipped hand that travels around the dial. 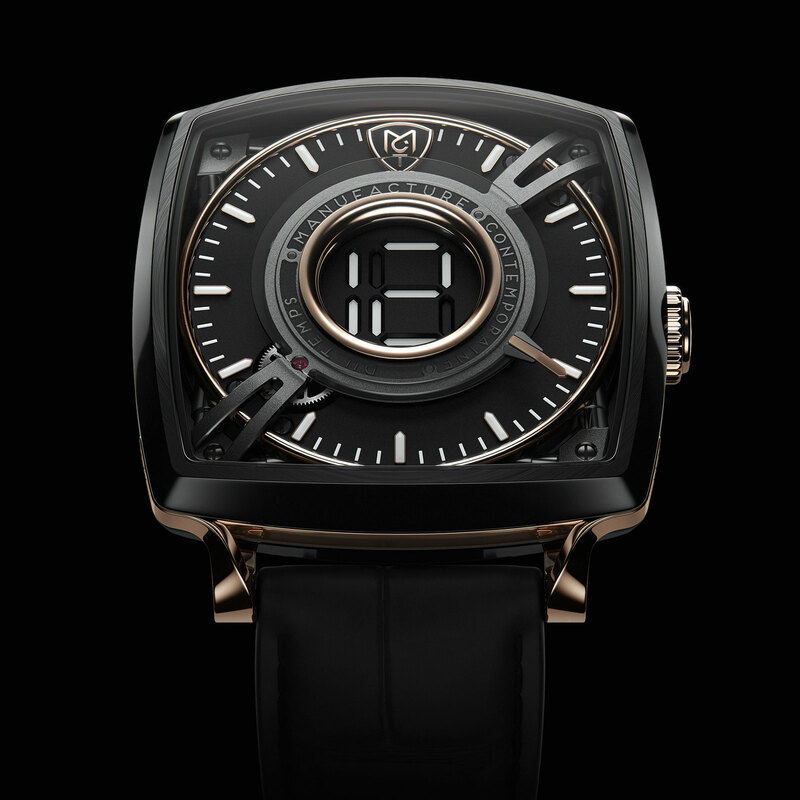 The D1 movement inside is self-winding, with a 50-hour power reserve. The cushion-shaped case is 43mm by 43mm, styled like MCT’s signature Sequential One wristwatch. 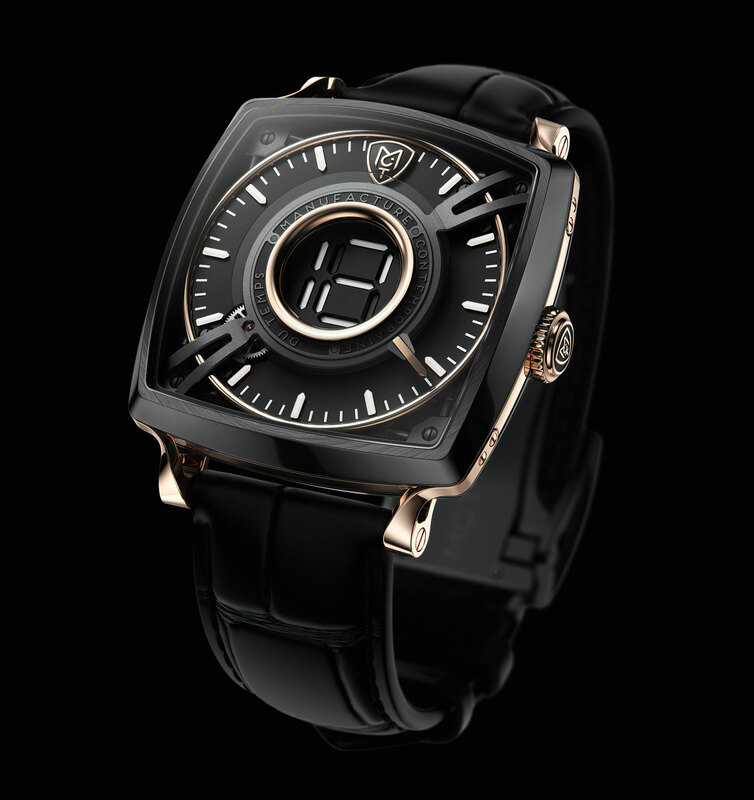 Intriguing as the mechanism is, fancy digital display watches don’t have a good track record for reliability, with the Harry Winston Opus 8 having never made it to production, and the De Grisogono Meccanico dG being occasionally unreliable. The proof of the Dōdekal One will be in its working. The Dōdekal One is priced at SFr55,000 in titanium and SFr61,000 in titanium and pink gold, each limited to 25 pieces. The famous baguette-shaped movement in 18k gold returns in a case inspired by the 1980s original.